Taken with Olympus E500 digital camera on August 8th, 2007. Click picture for larger view. 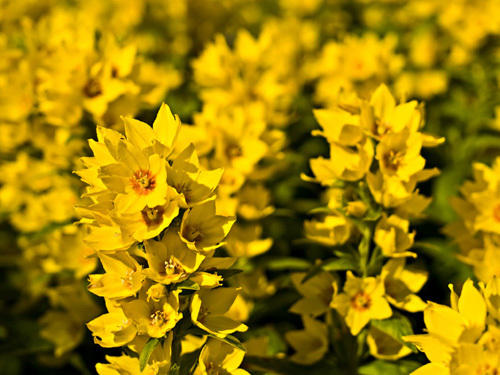 These flowers are called Yellow Loosestrife (Lysimachia punctata) and they flower late in the summer. I photographed the flowers in my grand mothers garden where I find lots of interesting stuff to take photos of. Really beautiful. A frame of vibrant yellow. They are gorgeous! Strong colors.